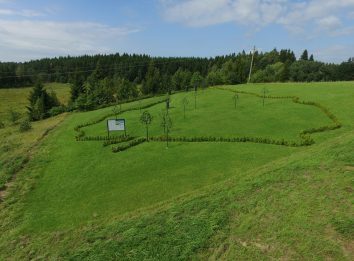 The charity and support foundation named after the folk artist Jakovas Bunka plans to build a Jewish ethnographic farmstead in the land acquired on Žemaitija National Park. But up to now, the Memorial Garden of Litvaks is being created in the area of ​​12 ares. Lithuanian contours are marked by all-year-round green shrubs. 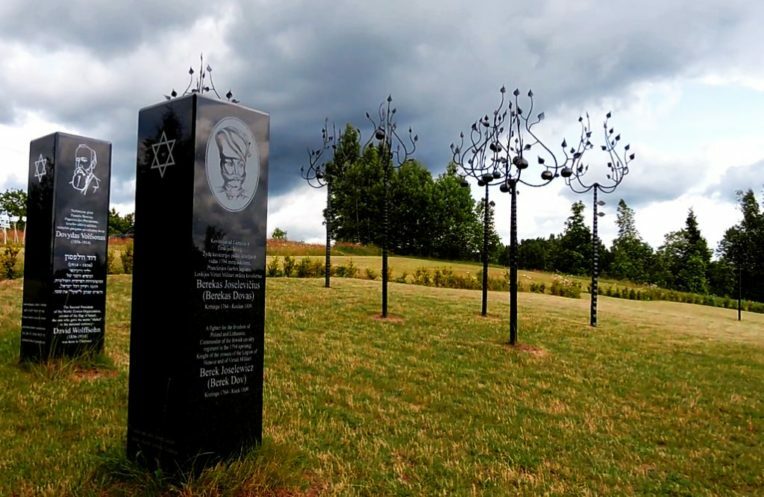 Apple trees made from metal by the folk artist Artūras Platakis “are sprouting” in the places where Jewish communities were destroyed. Litvaks from all over the world order them for their ancestors. Apples in the trees perpetuate families once lived in the communities. The Karelian granite columns are built in places on the map in which the famous Litvaks were born around the world. The stand at the entrance to the map tells in numbers about the Jewish communities once lived in Lithuania. Plateliai plan with former buildings and a list of their owners is restored here. The Memorial Garden of Litvaks should become not only a monument to the destroyed Lithuanian Jewish communities, but it may also be an art work having no analogue around the world.